Meeting the deadline for music productions to be published in CAS2004, our studio is extremely busy in the past couples of weeks. Due to the unsatisfactory progress, Frontline’s 2nd album “Love Chronicles” will be delayed. 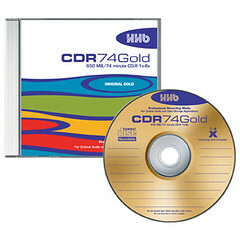 However, we’ll publish one song in CAS2004 sampler CD. On the other hand, we’re working on “Crying Emmisary” of Koinonia Christian Church. The original date of publish is CAS2003. Luckily, we finish the mastering yesterday after a 1-year delay. Never be unlucky like yesterday: we’ve dubbed the master disc for three times due to different kinds of problem. Including the time of dubbing and monitoring, we spend 6 hours in total, listening to 6 songs + 6 MMOs. Including the recording and mixing sessions, the producer and I have listened to the songs for at least hundreds times. We are too tired, so Steven suggests to play any game so that the loser have to go into the studio and monitor the final master. Of course, it’s a joke only. After working for 23 hours, the master is finished, and the clients (pastor and his wife of the church, i.e. the church I’m attending) drive the master CD to Tai Po for dubbing. After a 1-hour nap and a cheerful shower, I go back to studio and attend the practice with Frontline for the CAS2004 Summit Concert. I am excited to experience my internal power in singing, aftering working like a dog. We hope to bring a wonderful performance to the audience on this Sunday!